I've knit the 12 Hats for Sailors that was my goal for this year. So I'm working on some knitting WIPs this week. This is my favorite sweater, the "Daily Sweater" from Mason-Dixon Knitting Outside the Lines. 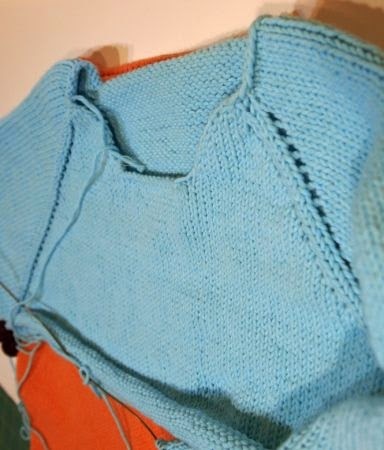 It's knit with Rowan Calmer yarn (sadly discontinued). I love the feel of this yarn so much, I've knit the same sweater in two different colors. The only problem is the neckline -- it "scrunches" up in the front. Now, if I had a long, swan-like neck a la Audrey Hepburn, that wouldn't be a problem. But I don't. 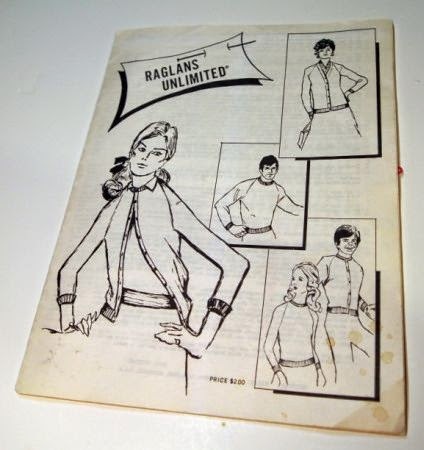 So for my third sweater with the same yarn, I am knitting from this classic (read: old) Raglans Unlimited book. 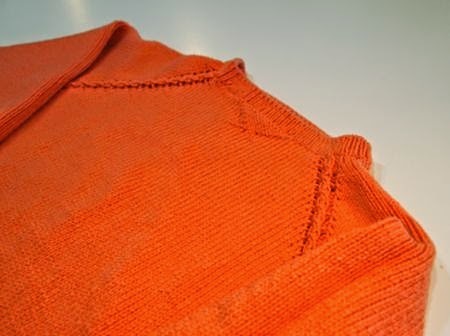 Virtually (maybe even literally) every sweater my mother knit used this pattern book. 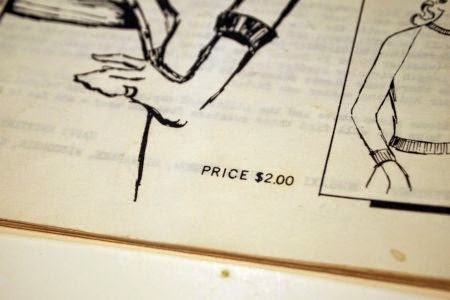 Look at the price -- if that doesn't indicate the age of this book, nothing does! 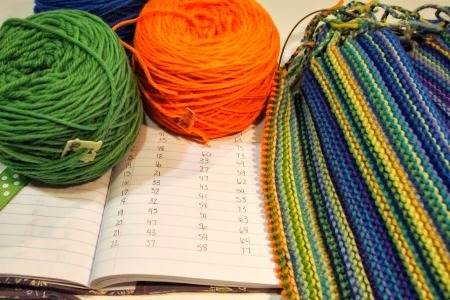 The best part of this pattern book is that it includes designs for every size sweater in every weight of yarn! I am trying out the "scoop neck" pullover. Here is my in-process sweater on top of my Daily Sweater. The size seems comparable, except to get the armscye long enough I had to increase a lot more stitches. I'm afraid the sleeves will be bulky under the arm. I need to go back to my Mason-Dixon knitting book and read their trick for increasing the sleeves without making them too big. 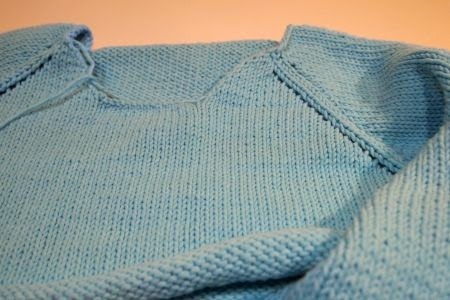 The nice thing about top-down sweaters is, you can put the stitches on a "lifeline" thread and try it on at any point. 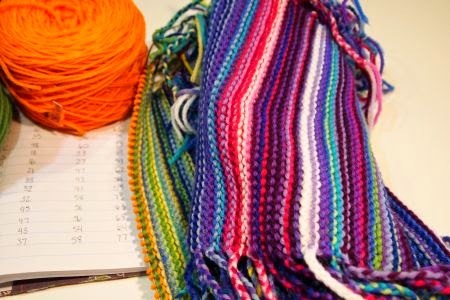 Here is my "Year in Temperatures" scarf to date. Notice anything exciting? The temperature in Colorado finally got well into the 70s Fahrenheit, so I got to use a new color, orange! Here are the rows for earlier in the year -- mostly pinks and purples, indicating cold days! Have I shown you the notebook I'm using to record the daily low-average-and-high temps? 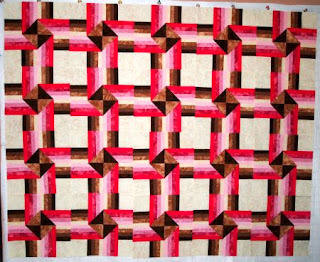 It was made by my friend, Mary, for a Front Range Modern Quilt Guild exchange. I love that she included a ribbon to mark the page! 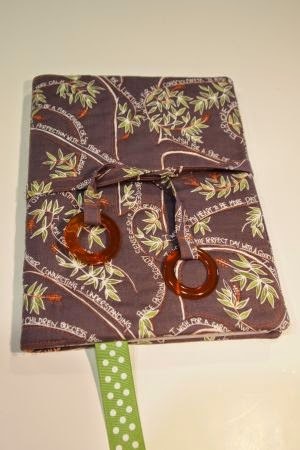 finished by tomorrow, I'd better put down the knitting and get back to the sewing machine! We can tell old patterns by price too - they have ponds shillings & pence on them! Good to see some oranges for you..and whatever other colours are coming.